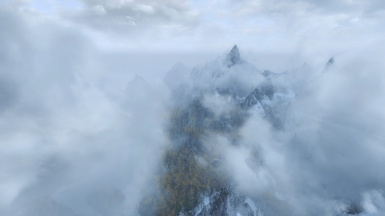 If you find any obsidian mountain fogs obscuring certain areas etc, please get the FormID of the fog (via console) and post them below. I know you can't completely get rid of z-fighting but does this mod help hide it? Surely I'm just dumb but the phrasing "stripped from" could mean two things. If I use Obsidian Weathers, does that mean that I do not need this plugin? 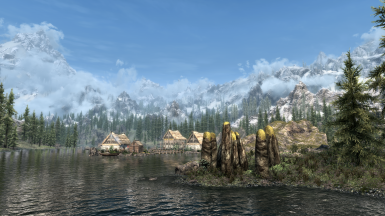 Or does this plugin provide enhancement for Obsidian Weathers? > "This mod is not needed if you have Obsidian Weathers (soon to be released)." Nevermind, I was just being dumb. I believe there is a mod for that. needs more fog and how can i prevent the fog from disappearing when i get close, it just disappear quick when i get close. any thoughts? I love this mod. So simple, but it adds so much. The mountains feel so much bigger and further away, so it really improves the game world's illusion of scale. I have Black clouds. Is there a way to fix this? Just curious, is this like, just the fog from Obssidian weathers? 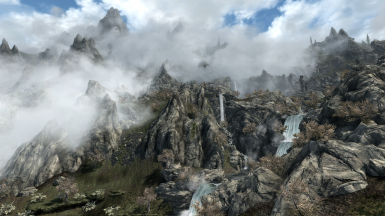 If this works with other weather mods like it intends to that's AMAZING, I might give some other weather mods a try if i can have these clouds! Mega I am really like this mod. Been trying it out since yesterday. Got this shot today of it. Keep up the amazing work. Only recommendation is maybe have a slightly more transparent version. Woah. 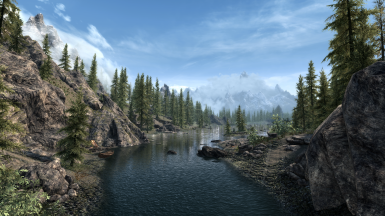 What ENB do you have? That is using NAT Weather/Lighting by l00ping with my Natural View Tamriel (NVT) ENB-NAT Preset.